Somethings you leave to chance and some things you need to be on top of. 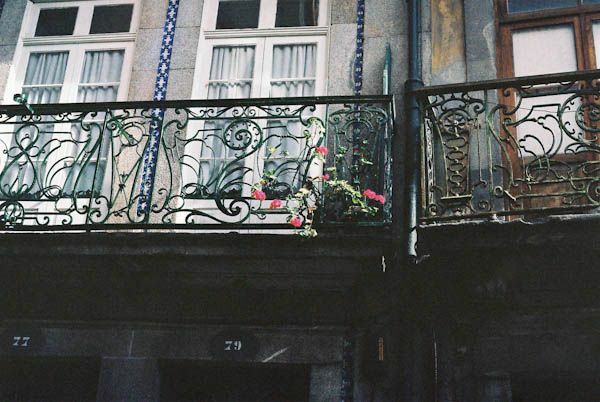 I unabashedly stalked the concierge at our hotel in Porto for a full thirty-six hours. I wasn't pestering them for dinner reservations at a chic new restaurant or an extra fluffy pillow, I wanted the recipe for the financiers that they serve downstairs at breakfast. They were the best financiers I had ever eaten. Better than the ones in Paris, and definitely better than the ones inspired by our trip to Paris. There were two flavors, plain with berries and chocolate. Zach and I each ate about three at breakfast and then, without any concern for the other hotel guests desire to eat financiers, I packed a cloth napkin with about eight more for our road trip through the Douro region. Just as we were checking out, I asked one last time if there was anyway I could get the recipe and while we were sitting there, bags already in the car, the receptionist called down to the kitchen and miraculously got the recipe for me. The quantities were hotel-breakfast worthy and it was in Portuguese, but I didn't care, I had the recipe. These financiers follow the path of many other financier recipes, mixing egg whites into a dry mix of powdered sugar, almond flour and flour and then gently stirring in melted butter. 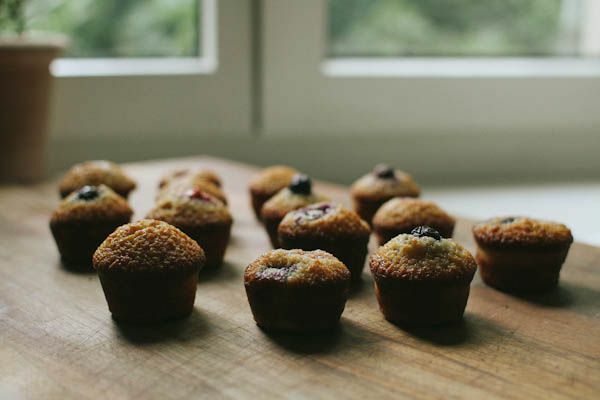 There are a couple tweaks and turns, subtle ones, that I think make these financiers special. You'd never know when eating them, but there is Crème de Casis in the batter, as well as honey and vanilla extract, all of which are mixed and then added just before the butter is stirred in. These extra liquids, aromatic and sweet, help create a uniquely smooth and dense muffin interior. This soft interior, delicious on it's own is made even more delicious when paired with the slightly crispy, buttery, caramelized exterior. While the receptionist had the kitchen on the line I should have asked what they do with their egg yolks. 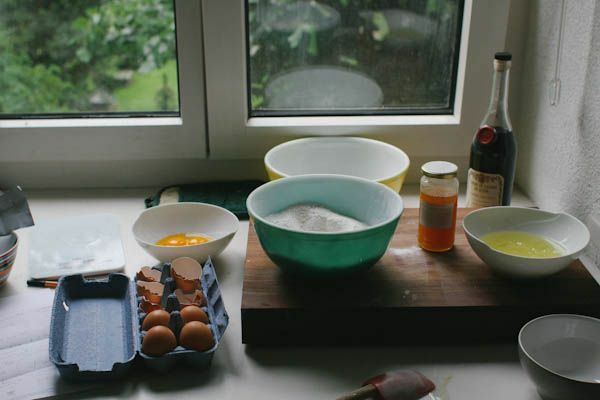 Financiers only call for egg whites, leaving a bowl full of egg yolks to linger longingly on your counter while you peruse cookbooks and the internet for egg-yolk-only recipes. I was hoping to use them for an equally yummy baked good, but I never found a recipe, and instead used a couple of them later that night for carbonara. 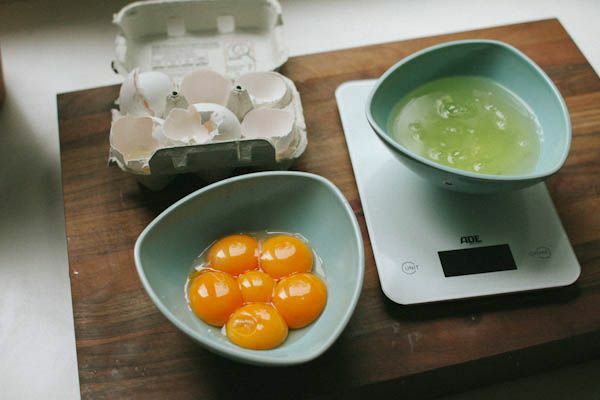 What do you do with your egg yolks? Any favorite recipes you'd be willing to share with me? 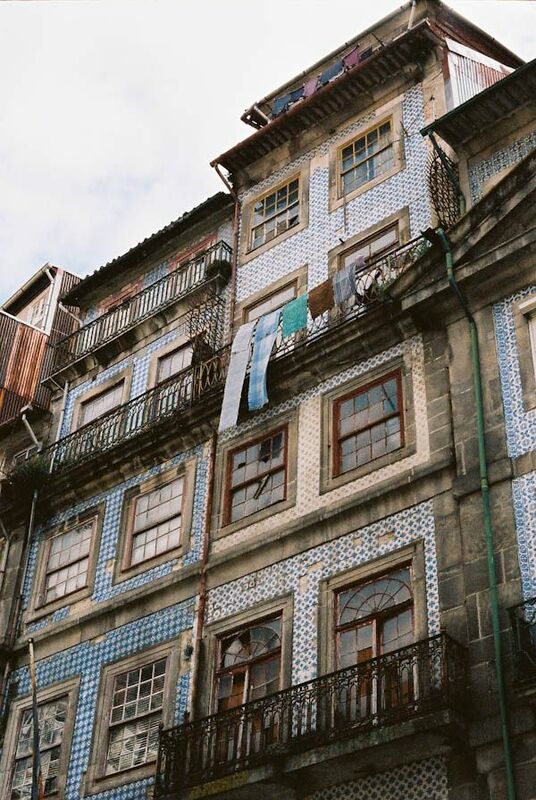 The tiled buildings in Porto were a complete surprise to us. 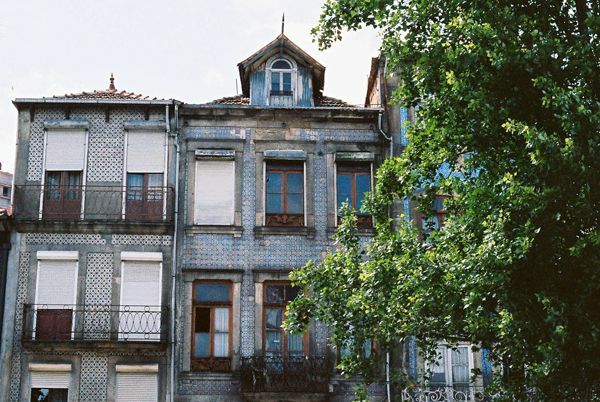 I guess I was expecting Porto to look like towns in Italy or France, but it really had it's own feel. It reminded us a little bit of Istanbul, an aesthetically pleasing state of decay. My version is pretty darn good, but admittedly not quiiiite as good as the hotel version. The pieces are all there, but they've just had the time to perfect every little detail. I had to quarter the recipe quantities to end up with a more manageable batter and a reasonable number of mini muffins for a family of two. 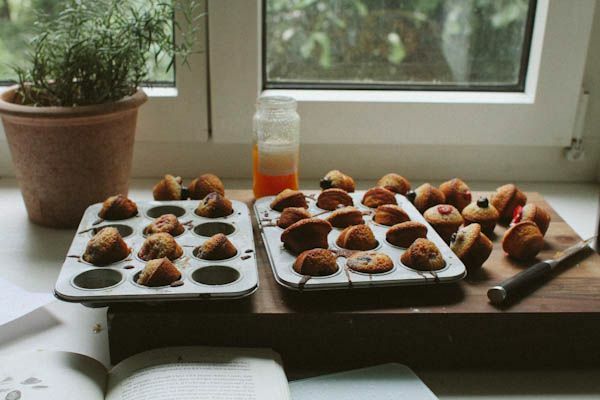 * The fruit: I first tried adding it right after I spooned the batter into the muffin tins, but that method prevented the tops from rising and left me with flat sad muffins that I couldn't even get out of the pan. I tested two other methods, both of which work; 1) after the muffins have baked for a about 8-10 minutes and have begun to rise, add one little blueberry of strawberry piece to the top, 2) and probably the better option, but the tops don't rise quite as much , is to spoon half of the batter into the tin and then add a few pieces of fruit, and then finish filling the muffin tin. (seen in the picture above). *** Don't store these in an airtight container, they just get soggy. I just left them out and we ate them over three days and I thought they actually got better each day. **** The ingredients are listed in grams because that is what the hotel gave me. I haven't had time to measure for oz/cups yet, but hopefully you have a digital scale and can just move between units. 115 g (1 stick) butter, melted. Mix the dry ingredients (almond flour, flour, powdered sugar, baking powder) in a large bowl. Stir in the egg whites until fully incorporated. In a small bowl mix the Crème de Casis, honey and vanilla in a small bowl and then gently stir into the flour - egg white mixture. Gently stir in the melted butter, careful not to over mix. The batter will be quiet liquidy but that's okay. Bake for 15-17 minutes until the muffins are browned around the edges, and light brown on top. Let them cool for a couple minutes and then tip them in their tin and let them cool half in- half out of the pan. This helps them get crispy around the edges. I hope everyone has a wonderful weekend. I am actually typing this from my parents kitchen! I flew home on Wednesday and today I'm heading up to New Haven to celebrate Crem and Jeremy, who are getting married tomorrow!!!! There will be lots of smiling and a heck of a lot of squeezing and oh, SO much dancing. Let the fun begin. Talley, the financiers look adorable! I love your persistence in getting the recipe. I'm not sure that I'd have been able to do that. Usually, I have the opposite problem with eggs--extra whites and nothing to do with them. Do you have an ice cream maker? That's where egg yolks around here end up. All of the custard-based David Lebovitz recipes call for 5 egg yolks. Financiers in the morning, ice cream in the afternoon? Things could be worse! 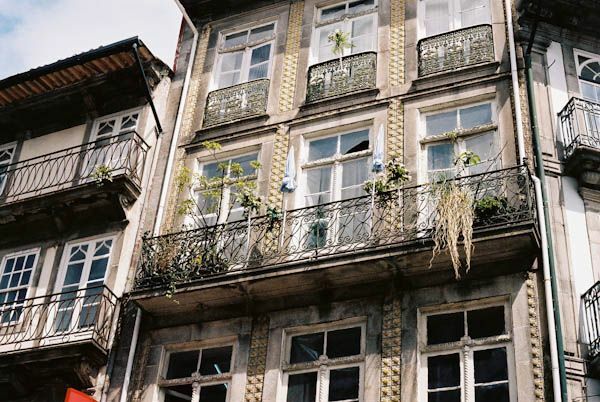 I know that I should be completely smitten with the beautiful architecture and your snaps of the tiled-buildings in Porto - and I am - they are amazing. But, what I really can't get over, is how beautiful those egg yolks are! What a rich color. I save my extra egg yolks, which are not nearly as orange as yours, and throw a couple extra into quiches. Or, I make hollandaise for eggs and béarnaise sauces for steaks. make homemade mayonnaise or aioli with the egg yolks! 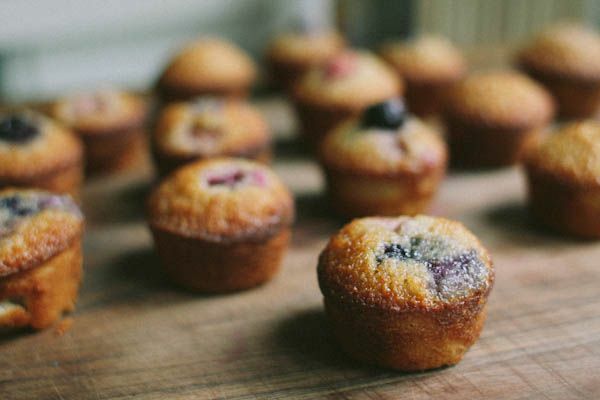 these financiers look really delicious... gonna make these soon! Great stalking work, Talley! You make me laugh. I would have done the same thing. 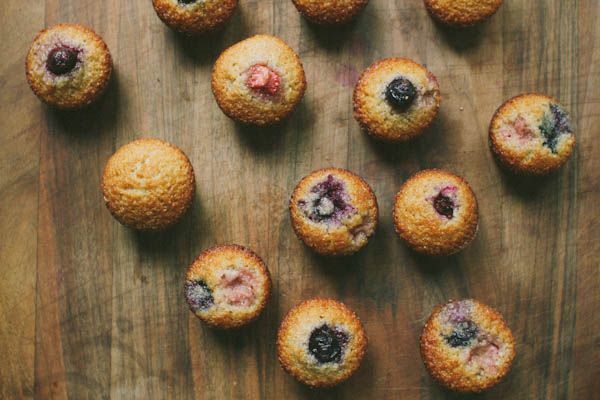 I have never made financiers, but these look/sound amazing, and I think it's about time I try. 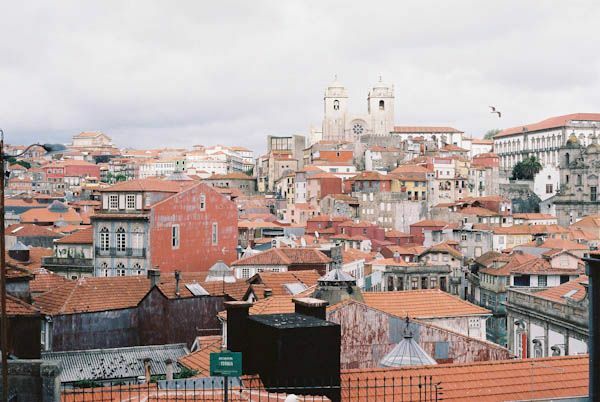 Love those tiled buildings! Side note, I visited Alexandria, VA on Friday — so charming! — and filled me with wanderlust. I'm dying to go on a trip. Egg yolks. Recently, I've been really wanting to make lemon curd, which I'm pretty sure calls for yolks. And I hear you'll be back in the Have this weekend? Can't wait to hear about your adventures! these look divine! but i do the most embarrassingly easy thing with leftover egg yolks and combine them with sweetened condensed milk, lemon zest/juice then pour them into ramekins and bake in a water bath for the easiest lemon custard ever. What a great story! You will cherish that recipe and the memories that it holds. As for egg yolks, I use them for lemon curd to make lemon curd tart. New Haven! Hope you are having a great time. I look forward to hearing all about it. These look delicious and I love that you stalked the hotel for the recipe. Good work. The tiled building are gorgeous - it turns out that a week in Berlin only made me want to travel more and I was already looking at flights to Istanbul this morning. Your blog is a contributing factor. 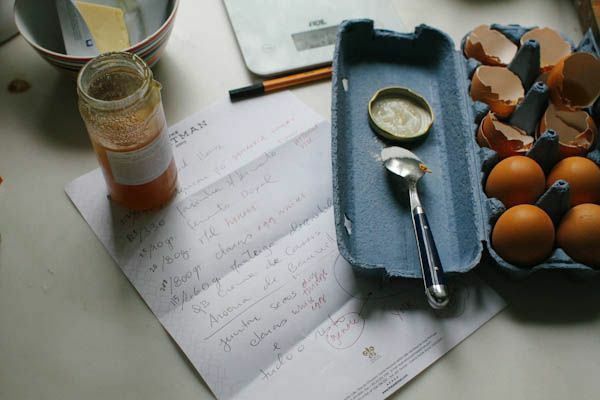 Try brioche with your egg yolks! I can't believe I haven't commented on this yet, I must have looked through it at least 5 times in the past couple days. I loved reading this post. 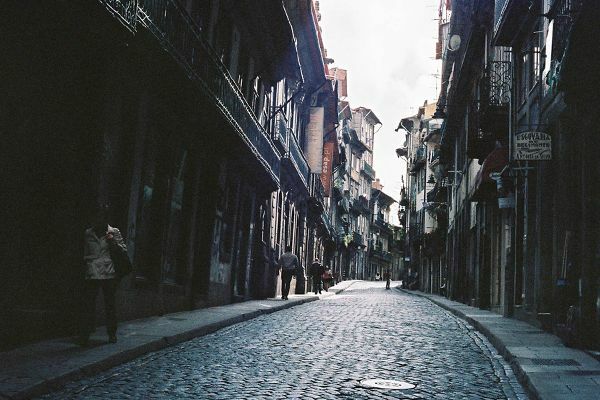 I didn't expect Porto to look like that either, but I was happily surprised from your pictures. It looks beautiful. And I am definitely marking these financiers to make for later. I don't think I've ever actually tried a financier though, so I won't have much to compare the greatness of these to. Oh well, I'll let you know how it goes, haha. And with the yolks I'd make a creme anglaise! David Lebovitz has a pretty good recipe, I think. Or custard-based ice creams. Mmmm ice cream! ahhhh! this post put the biggest smile on my face! It reminds me of this family trip to Madrid where we had the most amazing orange muffins for breakfast and my mom would hide extra ones in a napkin... I was foolish and young and never asked the recipe and never managed to reproduce those muffins! so way to go Tal! You have such convincing power! Wow! I am excited to try this out, if it pushed you to obtain the recipe, it must have been really awesome, I suppose. Well, the pictures do not lie either. Thanks for sharing! 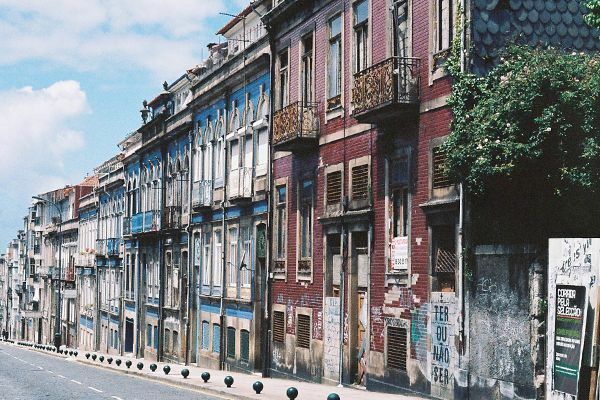 I just can't believe you were in Porto! 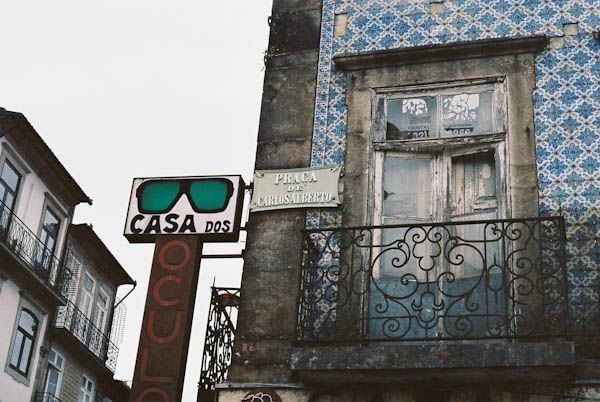 I live here, near Praça Carlos alberto!